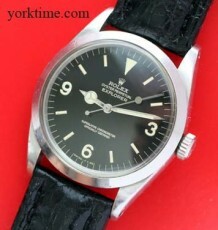 Vintage Rolex Oyster Air-King, with automatic movement and dating to 1964. 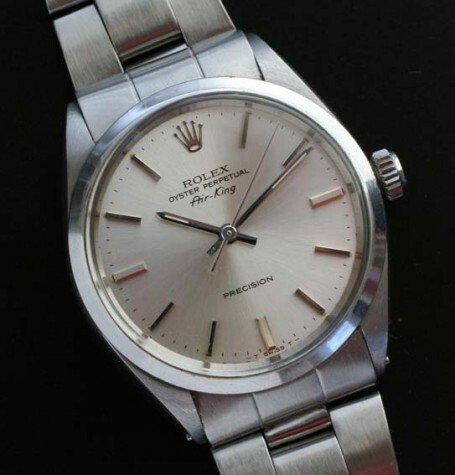 One of the classic Rolex watches available today. 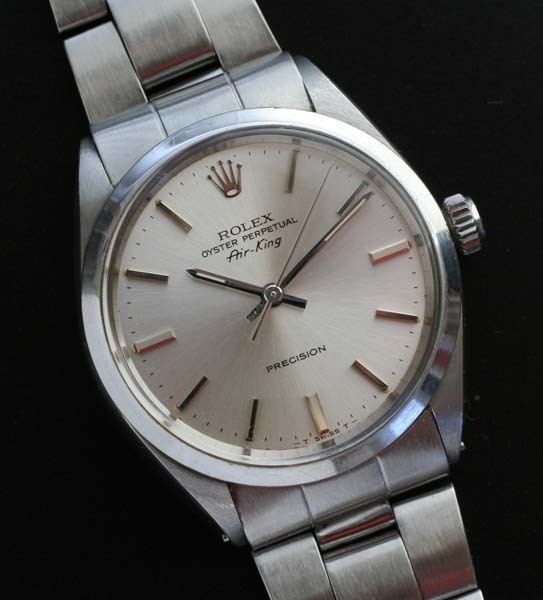 A classic vintage Rolex Air-King reference 5500 with acrylic crystal. The rugged Oyster case has been proved itself over the years and is now the stuff of legend. Over the past few years the brand has taken on the role of upscale casual accessory for a man or woman’s wrist regardless of application. Inside the durable Oyster case is fitted a Rolex perpetual automatic movement, calibre 1520, which was just serviced by my watchmaker and is keeping excellent time. 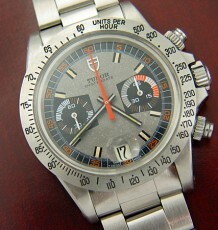 The all original satin silver coloured dial is in mint condition and features prominent steel stick markers and hands. The serial number indicates a production date of 1964. 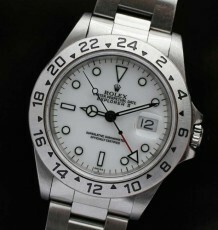 The watch is supplied on a genuine Rolex reference 7835 folded Oyster band with all 12 links. 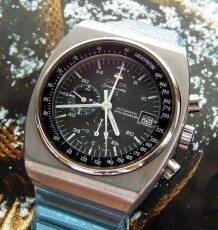 The case measures 34 mm wide and is slightly smaller than a full-sized Datejust.